ONE WAS an ethnically Jewish Carmelite nun, the other a Dutch Reformed watchmaker. One received her doctorate, the other initially failed to get even a Bible training certificate. On the surface Edith Stein (1891–1942) and Corrie ten Boom (1892–1983) had little in common, but their faith and choices during World War II bound them in suffering. Cornelia (Corrie) ten Boom was the fourth surviving child of a poor but generous Dutch Reformed couple, Casper and Cornelia ten Boom. After her birth the family moved to Haarlem, the Netherlands, where Casper took over the family watchmaking business. Their architecturally meandering home, containing the watch shop and two adjacent buildings, was affectionately nicknamed the Beje. It was often overflowing with extended family, customers, and a stream of visitors. After 1918 the ten Booms housed displaced German families and fostered missionary children; this hospitality continued even after the deaths of Corrie’s aunts and mother. These children were especially dear to Corrie, who called them her “Red Cap Club.” She later founded Christian girls’ clubs in Haarlem. Like her elder sister Betsie, Corrie never married; the two sisters worked diligently in the family home and business. Unlike her father Corrie was business-minded, and her pragmatic management actually made the profit Casper’s good intentions had not. Her gifts led to an apprenticeship, and in 1924 she became Holland’s first licensed female watchmaker. 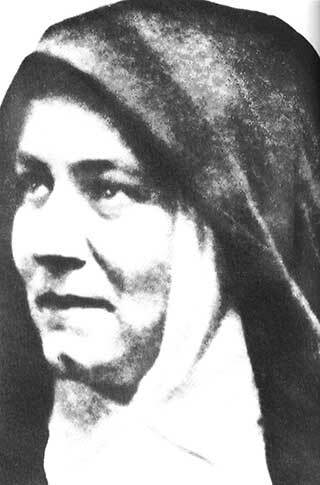 Edith Stein hailed from Breslau in what was then Germany, born on Yom Kippur (the Jewish Day of Atonement) to devout Jewish parents in October 1891. The youngest of 11 children, she demonstrated from an early age a keen intellect and a voracious desire to learn. Before she was two, her father died unexpectedly, leaving Edith, her mother, and siblings with the burden of a growing but indebted lumber business. Edith blossomed into an impressive student but rejected the deep Jewish faith of her mother. In 1911 she entered the University of Breslau at 21 to become a teacher; there she stumbled upon the works of Edmund Husserl, founder of a philosophical movement known as phenomenology. It sought to objectively arrive at the essence of things normally considered subjective—human consciousness, emotions, perceptions, and the like. This discipline promised to satisfy the young atheist’s quest for truth where Judaism, psychology, and relativism had all failed. Edith moved to the Gottingen School in 1913 to study under Husserl. The budding philosopher’s grasp of phenomenology soon propelled her into Husserl’s inner circle. But her faith in phenomenology was beginning to flounder; and for several like-minded philosophers, the movement was finding its natural conclusion in Christianity. When respected phenomenologist and Jewish convert to Catholicism Max Scheler hosted a series of lectures connecting philosophy to the Christian faith, Edith found herself confronted with Christian truth for the first time. In World War I, the draft called up many of Edith’s friends and teachers, including beloved lecturer Adolf Reinach. Reinach embraced Christianity during the war and died on the battlefield toward the end of 1917. It was a severe blow to Edith, who had received her doctoral degree and was working as Husserl’s graduate assistant at the University of Freiburg. She returned to Gottingen to grieve with Reinach’s widow, but found instead a woman filled with hope, peace, and faith in God. The experience so affected Edith that she began reading the New Testament, trying to decide whether she would become Catholic or Lutheran. Despite her newfound revelation of God, she continued to struggle with atheistic convictions. In 1921, after coming across the autobiography of Teresa of Ávila, she finally surrendered in faith. She was baptized as a Catholic on January 1, 1922. Edith’s conversion initially derailed her scholastic career; she was content to focus on her new faith and on teaching at a Dominican school in Speyer. But at the encouragement of her superiors, Edith began to translate some works of Thomas Aquinas. Her gifts and inclinations led her to develop philosophical connections between phenomenology and Thomism, bringing her again into academia and to the realization that her religious devotion need not be at odds with her scholastic pursuits. 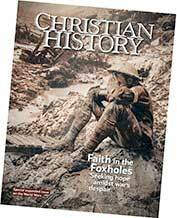 Order Christian History #121: Faith in the Foxholes in print. As Hitler rose to power, anti-Semitism wormed into German consciousness once again, rapidly laying the groundwork for a public campaign against Jews. Edith had long perceived with prophetic clarity what was coming. The 1933 Nazi takeover confirmed her fears, with vicious attacks and forced business closures and seizures a daily reality. From the unique position of a Jewish-born Catholic convert and scholar, Edith appealed to Pope Pius XI for help. Her request was denied; outside of Germany few understood the impending horror. But put up with it they did. Humiliated and economically devastated, Germans embraced Hitler’s rhetoric. Soon after her request to the pope was denied, Edith was forced to resign from her teaching position. Throughout her career she had been discouraged from entering the contemplative life of a religious order. But the political climate confirmed what Edith long had believed—that she would suffer with and for the Jewish people under the banner of the cross. At Cologne Edith took the name Teresa Benedicta of the Cross and learned to balance scholastic and contemplative life. She counseled friends and family as the situation in Germany culminated in the brutal purge of Jews on November 9, 1938—the night known as Kristallnacht. More for the convent’s safety than her own, Edith transferred to the Dutch convent of Echt, taking along her younger sister Rosa (also a Catholic convert by this time). Holland’s safety, however, was precarious after Germany invaded Poland in 1939. Neutral in World War I, Holland again claimed neutrality, and with confirmation that Dutch borders would be respected, Holland’s prime minister took to the radio on the evening of May 10, 1940, to reassure his people. But the war for Holland began only hours later with furious airstrikes throughout the country. Awakened by bombings Corrie and Betsie ten Boom were praying earnestly when Corrie experienced a premonition—she, her family, and friends carried on an old wagon out of Haarlem to an inescapable fate. The German invasion of the Netherlands ended within days. Following the flight of Holland’s Queen Wilhelmina and the devastating bombing of Rotterdam, Dutch forces surrendered. German occupation began. For those like Corrie and her family, the first few months of the occupation were bearable. Meeting the criteria for ubermensch, the genetically desired qualities that Nazis felt constituted the Aryan race, the Dutch received a measure of leniency from German soldiers. Even so citizens were required to carry identity cards to be produced on demand; ration cards replaced currency; curfews kept citizens indoors after 10 p.m.; and radios spewed German propaganda. Nazism gained traction and power with every passing month of the occupation, leading to Holland’s National Socialist Bond (NSB). A fascist organization sympathetic to the German agenda, the NSB endorsed Nazi anti-Semitism and recruited members aggressively. Power and privilege came with membership—more ration cards, coupons for clothing, better jobs, and the best housing. Armed with newly granted positions of power at every civic level, the NSB became the agency addressing Holland’s own “Jewish Problem.” Just as in Germany, terrorizing Jews was now public policy. Jewish-owned businesses were vandalized, synagogues burned, and those who bore the yellow star vanished daily, their vacant homes filled with NSB families eager to supplant them. These disturbing events deeply affected Holland’s Protestant and Catholic churches, forcing their leadership to speak out in a joint telegram sent to Arthur Seyss-Inquart, the appointed Reichskommisar (occupation ruler) of the Netherlands. Though he promised the anti-Semitic campaigns would stop, they did not, and he vetoed any further discussion. Unsatisfied, the bishop of Utrecht wrote a scathing pastoral letter sent to all Catholic parishes in Holland in July 1942. Retribution came the following week: mass arrests of Jewish converts to Catholicism. Though Edith had the necessary paperwork to flee Holland, Rosa did not. Knowing the consequences, Edith determined to stay. On August 2 the sisters were arrested and deported on a hellish train ride to Auschwitz. Edith was almost 51 when they died in the gas chambers there on August 9. That same week, eight Jews hiding in a secret annex above a warehouse were discovered and arrested. Among them was 15-year-old Anne Frank. She eventually perished in Bergen-Belsen in February 1945. The spring before the Stein sisters met their fate, the ten Boom sisters faced their own terrible choice: to watch passively as their Jewish neighbors were deported or to risk losing their lives to save them. Corrie was 50 years old when she joined the Dutch Resistance and offered the Beje as a safe-house for Jews and Resistance workers. For two years the ten Booms housed, fed, and relocated Jews and others passing through, miraculously obtaining enough ration cards and other supplies despite the watchful eyes of the SS headquarters nearby. A secret room with a sliding panel was built in Corrie’s bedroom. But success did not last. On February 28, 1944, the Gestapo raided the Beje. The six people living illegally in the house survived in the hiding place, but Corrie, her siblings, father, and nephews were arrested and transferred to Scheveningen. There Casper ten Boom died. Corrie and Betsie were sent first to Vught, Holland, and later to Ravensbrück in Germany in September 1944. Despite brutal conditions, abuse from guards, and the murder of prisoners around them, Betsie and Corrie ministered to the women in the camp, sharing the gospel from a small smuggled Bible. Even as many fellow prisoners turned to Christ, Betsie fell ill and died at Ravensbrück on December 16, 1944. On Christmas Day Corrie received orders of release, later discovered to have been a clerical error. By the time the war ended, some 110,000 Dutch Jews had been deported to concentration camps, along with many members of the Dutch Resistance. Three-quarters of these Jews never made it home, giving the Netherlands the second highest mortality rate among nations during the Holocaust. 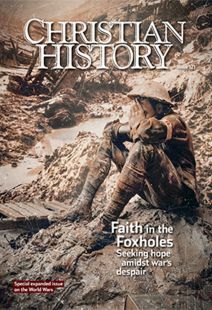 This article is from Christian History magazine #121 Faith in the Foxholes. Read it in context here! Kaylena Radcliff is the author of Corrie ten Boom in the Torchlighters series.